It can be difficult when starting out on a new predictive modeling project with neural networks. There is so much to configure, and no clear idea where to start. It is important to be systematic. You can break bad assumptions and quickly hone in on configurations that work and areas for further investigation likely to payoff. 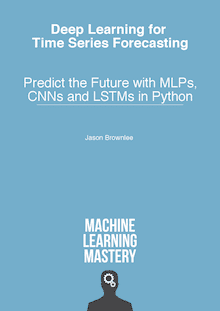 In this tutorial, you will discover how to use exploratory configuration of multilayer perceptron (MLP) neural networks to find good first-cut models for time series forecasting. How to design a robust experimental test harness to evaluate MLP models for time series forecasting. Systematic experimental designs for varying epochs, neurons, and lag configurations. How to interpret results and use diagnostics to learn more about well-performing models. Update July/2017: Changed function for creating models to be more descriptive. Before we can fit an MLP model to the dataset, we must transform the data. Transform the observations to have a specific scale. Specifically, to rescale the data to values between -1 and 1. We will use a base MLP model with 1 neuron hidden layer, a rectified linear activation function on hidden neurons, and linear activation function on output neurons. A batch size of 4 is used where possible, with the training data truncated to ensure the number of patterns is divisible by 4. In some cases a batch size of 2 is used. Normally, the training dataset is shuffled after each batch or each epoch, which can aid in fitting the training dataset on classification and regression problems. Shuffling was turned off for all experiments as it seemed to result in better performance. More studies are needed to confirm this result for time series forecasting. Each experimental scenario will be run 30 times and the RMSE score on the test set will be recorded from the end each run. In this first experiment, we will investigate varying the number of training epochs for a simple MLP with one hidden layer and one neuron in the hidden layer. We will use a batch size of 4 and evaluate training epochs 50, 100, 500, 1000, and 2000. This code listing will be used as the basis for all following experiments, with only the changes to this code provided in subsequent sections. Running the experiment prints the test set RMSE at the end of each experimental run. At the end of all runs, a table of summary statistics is provided, one row for each statistic and one configuration for each column. The summary statistics suggest that on average 1000 training epochs resulted in the better performance with a general decreasing trend in error with the increase of training epochs. A box and whisker plot of the distribution of test RMSE scores for each configuration was also created and saved to file. The plot highlights that each configuration shows the same general spread in test RMSE scores (box), with the median (green line) trending downward with the increase of training epochs. The results confirm that the configured MLP trained for 1000 is a good starting point on this problem. Another angle to consider with a network configuration is how it behaves over time as the model is being fit. We can evaluate the model on the training and test datasets after each training epoch to get an idea as to if the configuration is overfitting or underfitting the problem. We will use this diagnostic approach on the top result from each set of experiments. A total of 10 repeats of the configuration will be run and the train and test RMSE scores after each training epoch plotted on a line plot. In this case, we will use this diagnostic on the MLP fit for 1000 epochs. The complete diagnostic code listing is provided below. As with the previous code listing, the code listing below will be used as the basis for all diagnostics in this tutorial and only the changes to this listing will be provided in subsequent sections. Running the diagnostic prints the final train and test RMSE for each run. More interesting is the final line plot created. The line plot shows the train RMSE (blue) and test RMSE (orange) after each training epoch. In this case, the diagnostic plot shows little difference in train and test RMSE after about 400 training epochs. Both train and test performance level out on a near flat line. This rapid leveling out suggests the model is reaching capacity and may benefit from more information in terms of lag observations or additional neurons. In this section, we will look at varying the number of neurons in the single hidden layer. Increasing the number of neurons can increase the learning capacity of the network at the risk of overfitting the training data. We will explore increasing the number of neurons from 1 to 5 and fit the network for 1000 epochs. The differences in the experiment script are listed below. Running the experiment prints summary statistics for each configuration. Looking at the average performance, it suggests a decrease of test RMSE with an increase in the number of neurons in the single hidden layer. The best results appear to be with 3 neurons. A box and whisker plot is also created to summarize and compare the distributions of results. The plot confirms the suggestion of 3 neurons performing well compared to the other configurations and suggests in addition that the spread of results is also smaller. This may indicate a more stable configuration. Again, we can dive a little deeper by reviewing diagnostics of the chosen configuration of 3 neurons fit for 1000 epochs. The changes to the diagnostic script are limited to the run() function and listed below. Running the diagnostic script provides a line plot of train and test RMSE for each training epoch. The diagnostics suggest a flattening out of model skill, perhaps around 400 epochs. The plot also suggests a possible situation of overfitting where there is a slight increase in test RMSE over the last 500 training epochs, but not a strong increase in training RMSE. In this section, we will look at increasing the lag observations as input, whilst at the same time increasing the capacity of the network. Increased lag observations will automatically scale the number of input neurons. For example, 3 lag observations as input will result in 3 input neurons. The added input will require additional capacity in the network. As such, we will also scale the number of neurons in the one hidden layer with the number of lag observations used as input. We will use odd numbers of lag observations as input from 1, 3, 5, and 7 and use the same number of neurons respectively. The change to the number of inputs affects the total number of training patterns during the conversion of the time series data to a supervised learning problem. As such, the batch size was reduced from 4 to 2 for all experiments in this section. A total of 1000 training epochs are used in each experimental run. The changes from the base experiment script are limited to the experiment() function and the running of the experiment, listed below. Running the experiment summarizes the results using descriptive statistics for each configuration. The results suggest that all increases in lag input variables with increases with hidden neurons decrease performance. Of note is the 1 neuron and 1 input configuration, which compared to the results from the previous section resulted in a similar mean and standard deviation. It is possible that the decrease in performance is related to the smaller batch size and that the results from the 1-neuron/1-lag case are insufficient to tease this out. A box and whisker plot of the distribution of results was also created allowing configurations to be compared. Interestingly, the use of 3 neurons and 3 input variables shows a tighter spread compared to the other configurations. This is similar to the observation from 3 neurons and 1 input variable seen in the previous section. We can also use diagnostics to tease out how the dynamics of the model might have changed while fitting the model. The results for 3-lags/3-neurons are interesting and we will investigate them further. The changes to the diagnostic script are confined to the run() function. Running the diagnostics script creates a line plot showing the train and test RMSE after each training epoch for 10 experimental runs. The results suggest good learning during the first 500 epochs and perhaps overfitting in the remaining epochs with the test RMSE showing an increasing trend and the train RMSE showing a decreasing trend. We have covered a lot of ground in this tutorial. Let’s review. Epochs. We looked at how model skill varied with the number of training epochs and found that 1000 might be a good starting point. Neurons. We looked at varying the number of neurons in the hidden layer and found that 3 neurons might be a good configuration. Lag Inputs. We looked at varying the number of lag observations as inputs whilst at the same time increasing the number of neurons in the hidden layer and found that results generally got worse, but again, 3 neurons in the hidden layer shows interest. Poor results may have been related to the change of batch size from 4 to 2 compared to other experiments. The results suggest using a 1 lag input, 3 neurons in the hidden layer, and fit for 1000 epochs as a first-cut model configuration. This can be improved upon in many ways; the next section lists some ideas. This section lists extensions and follow-up experiments you might like to explore. Shuffle vs No Shuffle. No shuffling was used, which is abnormal. Develop an experiment to compare shuffling to no shuffling of the training set when fitting the model for time series forecasting. Normalization Method. Data was rescaled to -1 to 1, typical for a tanh activation function, not used in the model configurations. Explore other rescaling, such as 0-1 normalization and standardization and the impact on model performance. Multiple Layers. Explore the use of multiple hidden layers to add network capacity to learn more complex multi-step patterns. Feature Engineering. Explore the use of additional features, such as an error time series and even elements of the date-time of each observation. In this tutorial, you discovered how to use systematic experiments to explore the configuration of a multilayer perceptron for time series forecasting and develop a first-cut model. How to develop a robust test harness for evaluating MLP models for time series forecasting. How to systematically evaluate training epochs, hidden layer neurons, and lag inputs. How to use diagnostics to help interpret results and suggest follow-up experiments. Do you have any questions about this tutorial? what is mean by transforming observations to have specific scale? can u more elaborate it with simple example? Yes, normalize each column to the range 0-1. I have a question regarding the prediction result evaluation. The two results are very different from each other. What happened? That is interesting. I’m not sure what is going on here. I would trust the manual results. I have not had any issues like this myself, my epoch scores always seem to match my post-training evaluation. I give it a try on your example. What is the most robust sign for overfitting? Skill on the test set is worse than the training set. Is there a list of overfitting signs available? If I want to prepare such a list, how should it look like? 1. Skill on the test set is worse than the training set. Is there a function available for our code, which ‘alerts’ overfitting? I monitor every result and multiple parameters of your examples in a Sqlite database. Therefore I could easelly tagging overfitting. For example if a test result is worse then the training set. Could there be more relations of parameters and results to monitor for overfitting in general? It is a trend you are seeking for overfitting, not necessarily one result being worse. Nope. The first is all you need. Instead, you develop a list of 100s of ways to address overfitting/early convergence. mean trainRmse is less then testRmse? In my baseline-test my trainRmse is always zero and the testRmse is always higher? Is this normal? Could we say that a higher variance of test values is an indicator for overfitting? Could we assume that the best performing epoches, neurons and lag inputs found with this MLP setup are also the best performing ones in a LSTM model or any other model? No, generally findings are not transferable to other problems or other algorithms. Is it possible to save a trained model on HD, to predict unseen data later, in a shorter time? Would it be possible to achieve the same study using GridSearchCV, like you did in another post? Or is it not possible for time series? Could you give me an advice how to model, a multivariate timeseries with MLP. For example, if we model a timeseries such an energy consumption with window approach like in the example above. How do we add/model additional features such as dates, temperature, etc, which can be also timeseries? You could try modeling each series with separate networks and ensemble the models, you could try one large model for all series, I’d encourage you to experiment and see what works best for your data. Could you please give more explanation of how we could combine the models to form an ensample? In this case, any need for a final model? That is, fitting the ensembled model(s) with all available data? Thanks for the great tutorials you offer. I have both tried the LSTM examples and this MLP example. All these examples gave me good insights and helped me to configure models and do optimizations for my own data. I think this essentially is a matter of regression and not time series. The model can only predict values based on input values and the model is not able to predict solely based on history data. Can you please comment on this? It really comes down to how you frame your forecasting problem Steven. I want to know please, the difference between a NAR and a MLP? and how a MLP can take into consideration the time aspect of the series.. If NAR is a specific method, I am not familiar with it sorry. From the name, an MLP applied to time series would be nonlinear (i.e. the activation function) and autoregressive (lag obs as input). Can MLP model deal with multivariate inputs/outputs,Multi-step Time Series? Multi-step Time Series, multivariate inputs and outputs are necessary for my work.